Moving into the second week, the middle of December and the filling up of the waxing moon. From establishing our commitment, to now clarifying what it is we are working for in these daily practices. 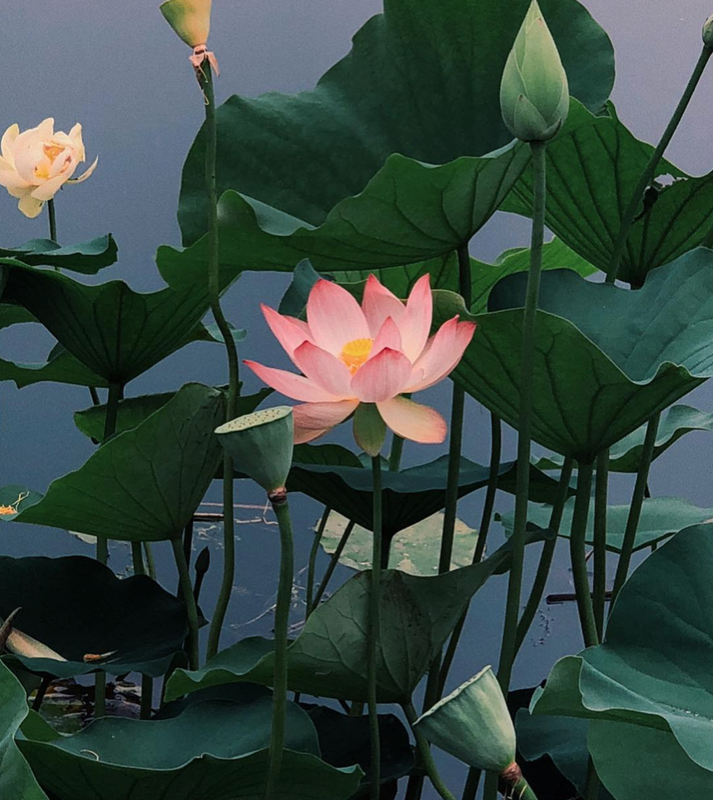 As you may have relaxed into in the first week, these meditations, journaling questions and your sadhana in general, are for you to work your way around. Using the power of shakti, its important to not create rigidity - or think that you have to as you approach these practices. Just as shakti is woven and threaded through the richness and power of life, so is your practice. Using the mantra (below) connect to your inner principle of abundance, wealth, beauty and grace - your Lakshmi. Ask yourself how does she manifest in your life? How would you like her to? Looking at your relationship with beauty, wealth, and love. Are there areas where you feel lacking? Do you feel undeserving or unlucky? On one, list the things you don’t want in your life, (perhaps “ugliness”, “lack of money”, “lack of time” would be on there). On the other, list the things you do want. Write them, repeat them as you move your body, or use your own technique that feels like you can imprint the affirmative contemplations in your thoughts .As you work with this, you’ll begin to shift your physical behavior around abundance. Attract Lakshmi by becoming Lakshmi.